Delight your customers with a seamless taxi booking app experience that comes packed with features and can be customized as per your business needs. Rewards for app users for sharing their referral code and getting new signups. Timely alerts for important events via push notifications and SMS. Keep your driver fleet truly mobile, efficient and productive with a feature-packed dispatch app that offers everything to get a job done right. New dispatch requests are sent in real-time to the driver app with options to accept or decline. Drivers get a limited timeframe to accept or decline a new ride request. Tight integration with Google Maps-powered navigation for seamless pickups. A detailed breakdown of driver earnings over time with useful insights and stats. A powerful cloud-based admin panel packed with features like real-time fleet tracking, intelligent dispatch and more to manage all aspects of your taxi business. Two-factor authentication for your team to securely access the admin console. Add and manage operators and dispatchers to handle booking requests. Configure notification channels (push, SMS, and email), message content and logic. Create an Uber-like app that works across multiple cities and regions. A thoughtfully designed interface to seamlessly manage all dispatch requests with automatic and manual dispatch modes. Authenticated access to the web-based dispatcher panel from any modern browser. Add drivers, review signup requests, set commission rates and more. View and track your real-time fleet availability and current location on a map. Working with leading technology providers. "From the last year and a half, I was doing research on creating a taxi booking app like Uber and Ola. Mobisoft Infotech helped me get started with the minimum investment for my pilot. They are highly skilled and helped with round the clock coordination and support. The team has a thorough understanding of client’s requirement and provides us proper guidance at each step. It’s been a great experience working with them. Keep up the awesome work!" "A heartfelt thanks to the ‘Super Team’ for a fantastic job. They were timely intervening from day one and have been working hard even on the weekends. We look forward to doing more projects with them." "We are extremely happy with the quality of work. The way the sales team works and deals with its clients is awesome! The entire team is very supportive and co-operative irrespective of the time difference. We are particularly impressed with the consultative approach of the Mobisoft team and the way they made us look at certain aspects of the project which we are sure would be quite beneficial for our business. We didn’t have any hiccups during the entire initiation to the delivery phase of our engagement with Mobisoft. Their sales, development, and delivery phases were flawless and the project was delivered well on time. We would definitely recommend Mobisoft to whoever is looking for quality work." 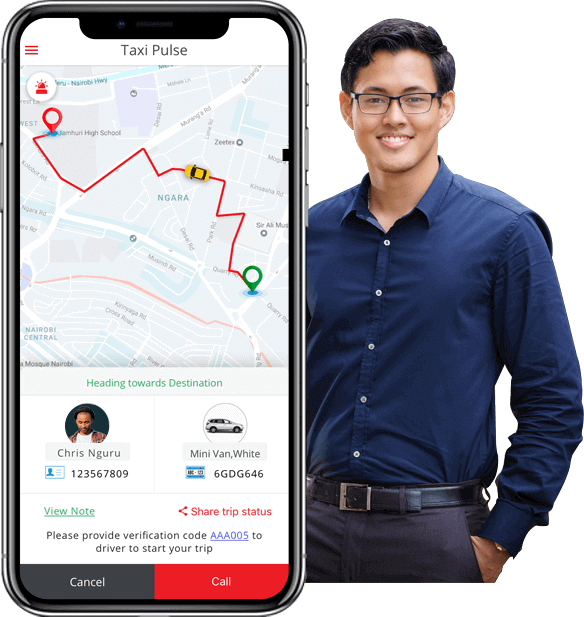 Taxi Pulse is a white label taxi app solution that offers features like automatic and manual dispatch, fleet management, real-time tracking and so much more. It can be used by any business that needs to efficiently manage a fleet of vehicles. Our taxi app solution comprises of native iOS & Android apps for passengers, taxi driver app, and a powerful web panel for admins, dispatchers, and operators. What can all businesses benefit from Taxi Pulse other than the normal Uber-like taxi booking businesses? 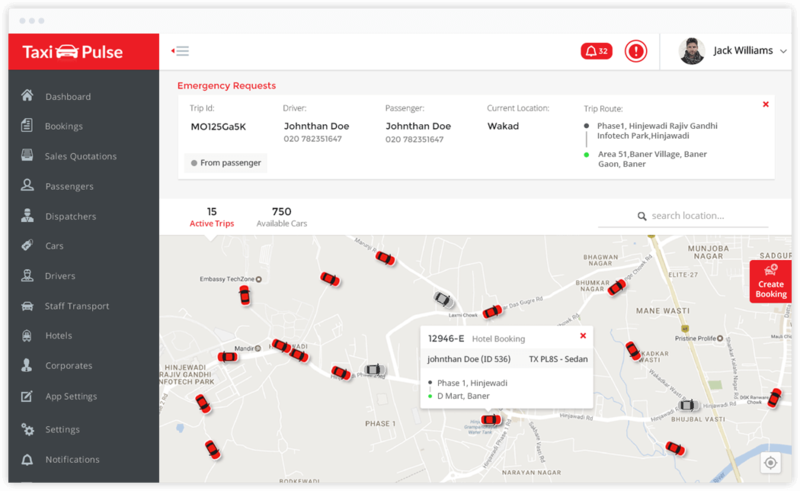 Taxi Pulse has been designed thoughtfully to support multiple business use cases. Some interesting ways our solution has been put to use include - rideshare, trucking, car rentals, bus bookings, shuttle services, non-emergency medical transportation services and what not. How customizable is Taxi Pulse? 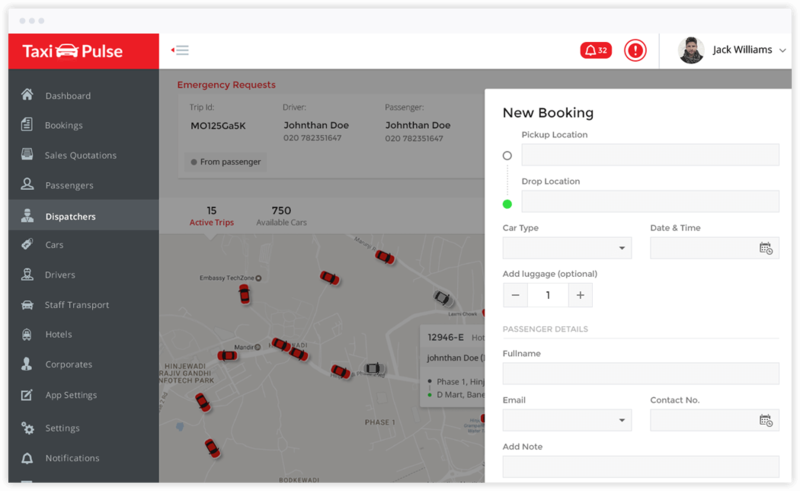 Being a white label taxi booking app solution, Taxi Pulse can be highly customized to meet the specific branding needs and feature requirements of taxi or fleet businesses. You will get a tailored solution that puts your business front and center. Is there a minimum or maximum fleet size the solution supports? As such, there is no minimum or maximum limit on the fleet size. The base solution already supports 50000 rides a day. We can always add more capacity based on your requirements. Our taxi app development solution pricing is highly competitive and flexible. 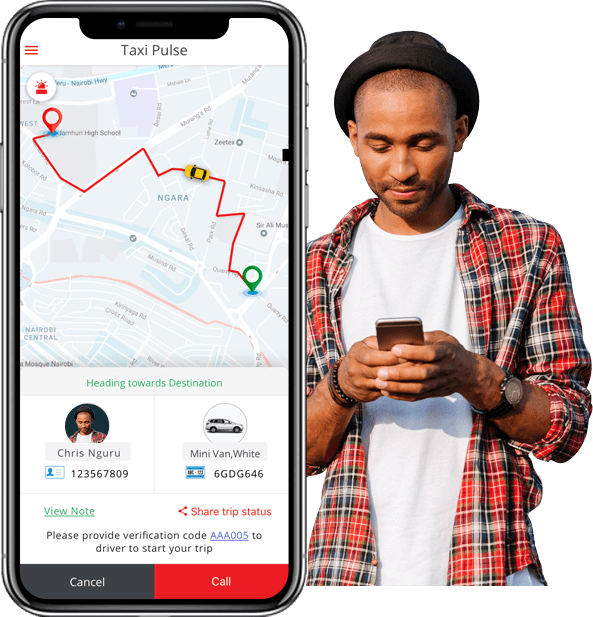 We not only provide you the choice to customize your solution with features and integrations but also how you want to pay for your taxi booking app development project. You can either choose to pay a one-time fixed price based on your requirements or choose to go with the monthly subscription model. What’s the difference between the one-time cost and monthly subscription models? With the one-time payment model, you will get more customization options and better control over the final solution. If you choose to go with the monthly subscription model (check pricing here), you get fewer customization options but higher operational flexibility and lower upfront investment. Our taxi solution consultants will fully guide you to choose the best pricing option for your business for maximum ROI. I am interested in Taxi Pulse. How do I get started? Kudos!! We are excited about bringing digital transformation for your taxi or fleet business. Just send us a quick inquiry through the contact form and one of our Taxi Pulse solution consultants will get back to you within 24 hours. Can Taxi Pulse be used for corporate and employee travel management? Absolutely. We offer an optional corporate module for taxi businesses who provide corporate transportation services. Your corporate clients can make bookings for their employees from a dedicated panel, giving them a better employee travel management experience. This way your business can retain and attract more corporate customers. How will the solution be deployed? We offer both on-premise and cloud deployment options. In the on-premise option, the solution is hosted on your private servers after rigorous testing. Does Taxi Pulse support languages other than English? Yes. Taxi Pulse caters to taxi businesses worldwide in their native languages including RTL languages. Can I accept payments in my local currency? Yes. Taxi Pulse works globally with built-in support for multiple currencies and a robust choice of payment gateways to start accepting payments anywhere seamlessly.